These presentation slides 42641 are complete compatible with Google Slides. Simple download PPTX and open the template in Google Slides. 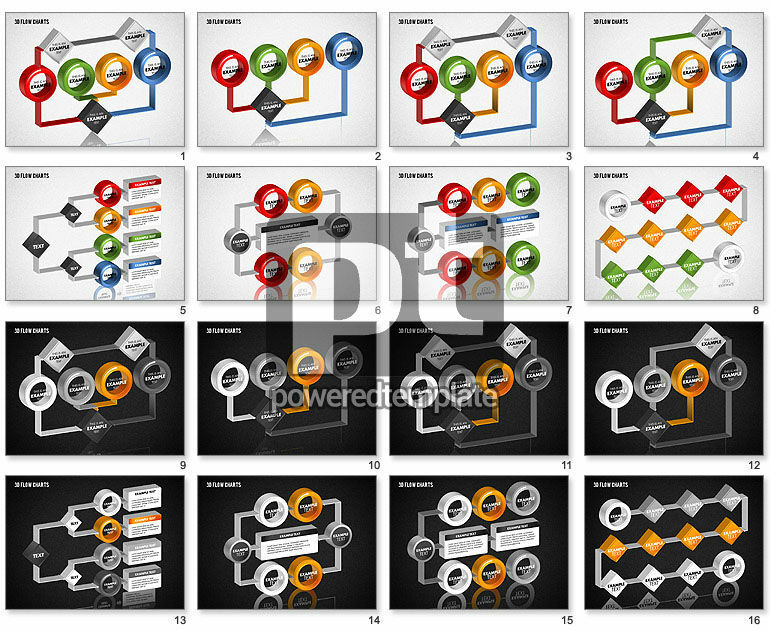 Meet this outstanding 3D template dedicated to project aspects of various kinds, such as analysis, algorithms, flow charts, connections, managing, documentation, planning, process, work design, and many others. There are many colorful subjects, connected to each other, with two color variants of the background, so using of this great sample at your presentations will be easy and comfortable.